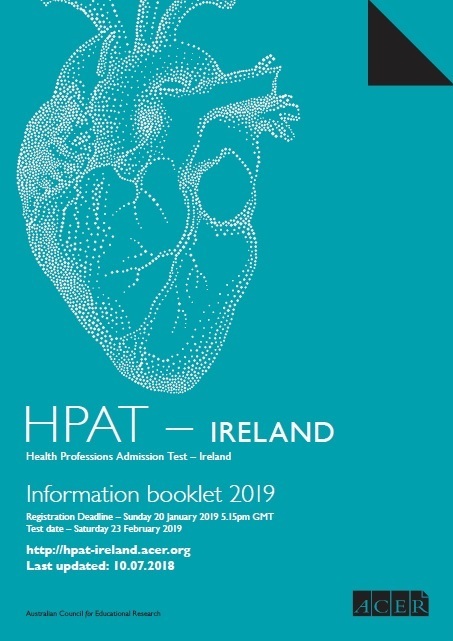 In addition to their application to the CAO or the University of Limerick candidates must also apply directly to ACER to complete the HPAT – Ireland test. For specific information regarding the entry requirements, candidates should contact the universities directly or visit their websites. Candidates should also refer to the 2019 Admission Guide to Undergraduate Medicine and the website of the University of Limerick.